CARHARTT PRESENTS MALMOE DIY - 30.05.2009!!! The Bryggeriet Crew is unstoppable! After finishing “Sibbarp“ (the 3rd (!) world-class skatepark in Malmoe/ Sweden) last summer, they already added a new corner to it. The piece will be officially inaugurated during the DIY event. 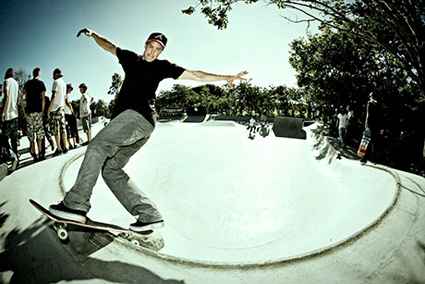 The Sibbarp skatepark is located in a suburb of Malmoe, right at the beach in a giant green park, a perfect place for a fun weekend! If you search for a place to sleep, the skatepark is located right next to a camping site called “Sibbarp Camping” that rents bungalows or tent spots for reasonable prices! We’ll keep you updated with more details about the weekend, stay tuned!